The newest big modular building for 2018 transports the much-loved series forward by a couple of decades, landing square in the middle of the 1950s. It's not just a new gimmick with a pretty exterior; this is actually one of the more spacious big builds to date. In addition to introducing some new prints and basic part recolors, this set brings back the classic "teal" color that was wiped from the LEGO palette over a decade ago. Grab a snack because this is a long video! Think this looks fantastic. Definitely buying it. Watching your reviews has really got me interested in the modular buildings. Looking forward to building this one. 1) Loved the review. Keep up the good work. 2) Will you consider keeping it in your downtown on a temporary basis? 3) It's been several months since you've posted a single MOC or Custom City video. Could we get a quick one explaining your plans, at the least? 4) Thanks again for your videos! Great video, as always. I'm not sure I'm such a big fan of the new direction they took with this one, but for what it is I think it was well done. On the subject of Creator Expert, will we be seeing a Taj Mahal review soon? Hey JANG, huge fan. Watched all of your videos a lot, and I need your help. I am thinking about getting a Creator Expert Building, but I don’t know which one. 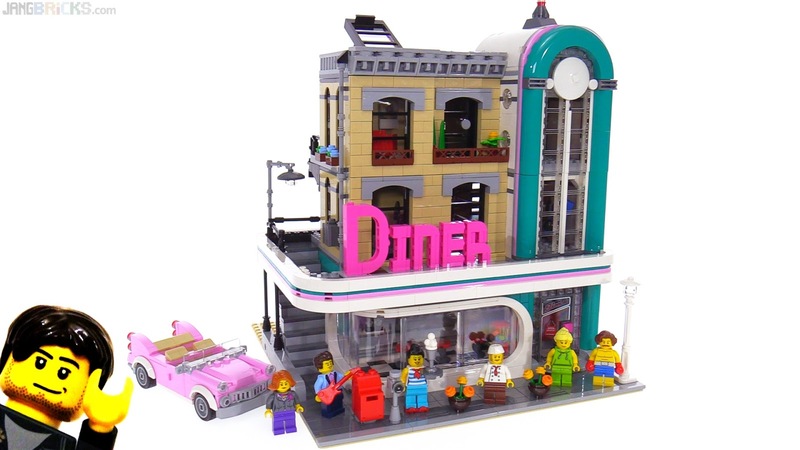 I was thinking Downtown Diner, Dectives Office, or Assembly Square? Thanks for sharing!